John picks up Lydia after she calls from a payphone, brings her back to his place and lays her on the bed to sleep. John grabs Lydia's bag and starts to empty it's contents. He finds her pistol, releases the magazine, and empties the chamber. The sound that follows is an empty casing hitting the floor, not an unfired round, even though the gun is a semi-automatic. The only way this occurs is if the gun has a failure to eject, which we know didn't happen base don the last time she fired the gun. Lydia is wanted by drug dealers that know her cell phone number, and by law enforcement that could easily track her yet, for some reason, she keeps the phone. When Lydia runs out of the cinema, there is a lady and her two children on the other side of the glass door trying to get in. When the reverse angle is shown as she runs out, there is no sign of the lady or of the two children. When the father (Mel) is working on the tattoo while his daughter is there (when she points out the guy's melanoma), he's wearing glasses, then he isn't, then he is again. When Lydia is talking on the phone with Kirby in the hotel, she is holding the phone directly to her ear, under her hair. But in the next shot, she is holding the phone over her hair. The position of the phone continues to switch from under her hair to over her hair among shots. When Lydia and her dad check into the hotel room after going on the Run, she's looking at pamphlets for an amusement park that exists only in Denver,This Colorado. Elitch Gardens does not have any other locations, it is just a single park. When Lydia tries to buy cigarettes at what appears to be a Walmart she is denied because she has no ID. State and federal law requires her to be 18 to purchase tobacco, and rifle or shotgun ammunition, and 21 to purchase ammunition that you identify to be destined for a pistol. The cashier allowing her to buy 9mm ammunition, having to believe that she is at least 18 years old (some rifles are chambered in 9mm, so she could purchase it), but not allowing her to buy cigarettes, is ridiculous. Lydia is using an blue iPhone 5C almost the whole movie, when the cinema scene starts and she walks out to answer a phone call she suddenly has an old iPhone 4. 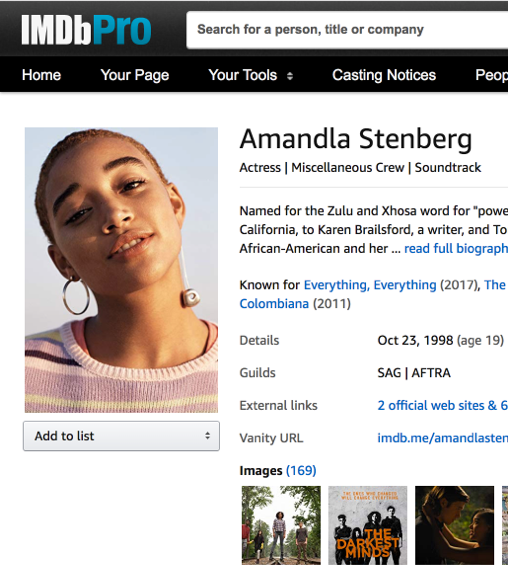 A missing person poster lists Lydia's year of birth as 1996, yet the character is described as being 17 years old in 2016.